Realms of Fantasy is back. 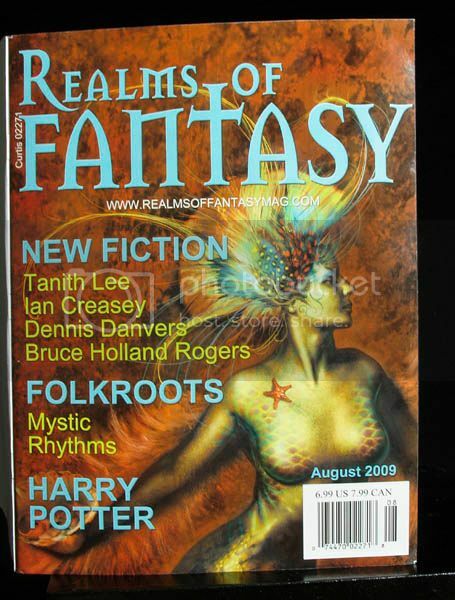 The Fantasy fiction magazine was canceled early this year. But the readers blogged and showed there was still interest in print. Warren Lapine of Tir Na Nog press saw the demand for the magazine and shortly acquired it. The magazine is back and I have new reading material. This was written by admin. Posted on Tuesday, July 14, 2009, at 10:01 pm. Filed under Photography. Tagged Fantasy. Bookmark the permalink. Follow comments here with the RSS feed. Both comments and trackbacks are currently closed.